Just stumbled across some fun old pictures. 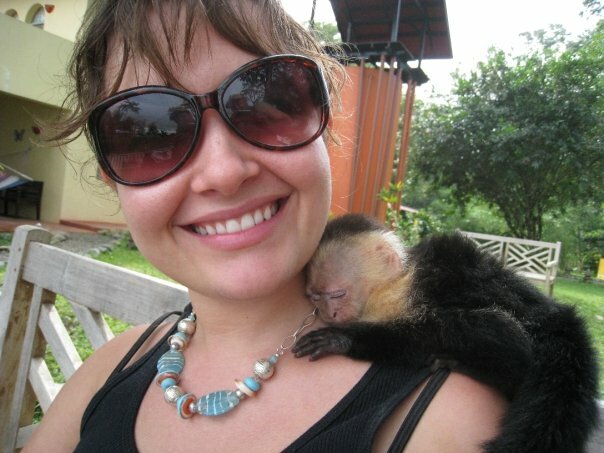 When we taught in Costa Rica a few years ago, we had many opportunities to travel around Central America. 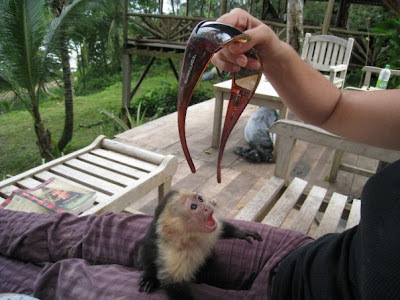 These are pics from a trip that we took to the islands of Bocas del Toro in Panama. The islands of Boca are absolutely stunning. 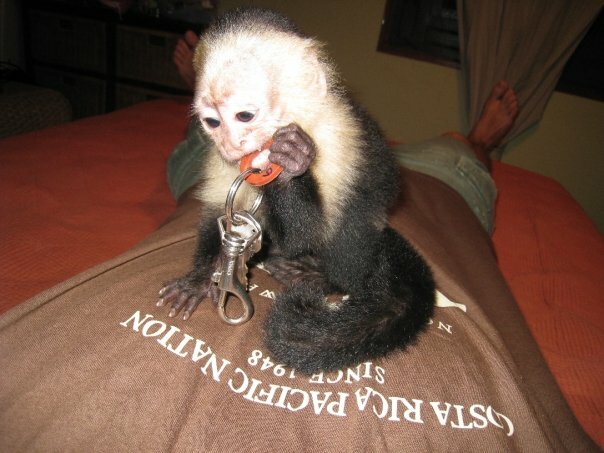 However, the best part for us was definitely getting to hang out with Edgar the white face capuchin monkey. He fell off his mom's back when he was a baby and a local boy found him in the jungle with a broken arm. The bed and breakfast that we stayed at was nursing him back to health. Edgar would play and play and play! Then he would get so tired that he would fall asleep. 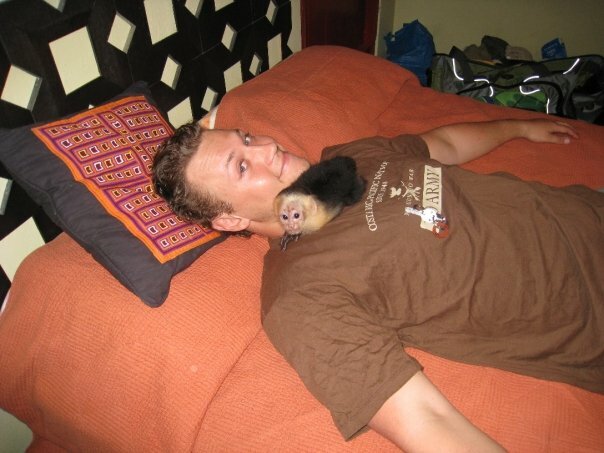 He was a really cuddly little guy :) We even got to "monkey sit" for a couple nights and let him sleep in our bed with us! Edgar also really liked toys. He would play with keys, sunglasses, your nose, or just about anything else he could find. His favorite toys were probably straws. He would unwrap them with his little monkey fingers, and then put them in his mouth and bite them. Edgar was going to enter a rehabilitation program to help him transition back into the wild. White faced monkeys are super cute, but they are not pets. However, we are sure glad that we got to hang out with this little one! Thanks for the kind words about my blog, and thanks for following. 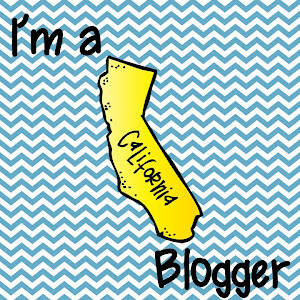 I'm now following your blog as well! This is a wonderful blog. I am your newest follower.